Get ready for PREMOS - the new predictive monitoring service developed by Keller Lufttechnik GmbH + Co. KG to make its HydronPlus wet separators even more reliable. An extraction system failure usually forces production on the affected processing machines to grind to a halt. More often than not, this incurs substantial costs due to knock-on effects such as missed delivery deadlines. To ensure its systems are even more reliable in the future, Keller Lufttechnik has developed a new predictive monitoring service, PREMOS for short, which makes it possible to monitor a system’s condition around the clock from afar. Designed to warn customers before their system encounters serious problems, this forward-thinking service helps prevent unforeseen system failures and reduce maintenance costs. PREMOS uses sensors attached to all relevant system components and transmits their data to Keller Lufttechnik's IoT platform for continuous comparison against preset threshold values. 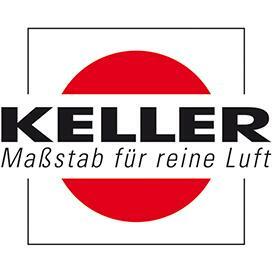 If a component approaches the critical value in question, the system triggers an alarm and Keller's specialists can then advise the customer on the appropriate action. But it's not just the experts at Keller who keep track of the machinery this way - the customers themselves can also get a rundown of their system’s performance whenever they wish via the PREMOS platform.